Online registration for this event opens in 12 days, 4 hours, 33 minutes. Click here to download the Sponsorship/Advertising Packet. Click here to download the Exhibitor Packet. **If your County is mailing in a check for you, you must email a copy of your registration form to tcrahq@embarqmail.com when you submit the form to your County so we have you on our registration list as early as possible. The annual convention is the place for professionals to enhance their skills and education in the latest court reporting techniques. Members return year after year because the seminars and hands on courses pay off in their field. The social events give attendees the chance to mix business with please. Our contests pit speed and skill against each other. The exhibitors give you the chance to see the latest in court reporting products and technology all in one place. TCRA Members also receive registration discounts. 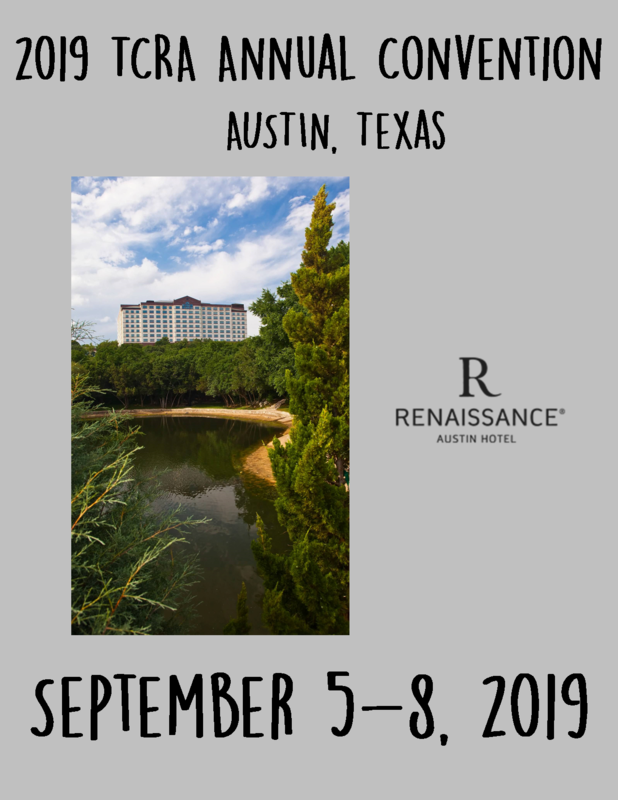 Click here to book your group rate for the 2019 TCRA Annual Convention. The cut-off date for room reservations is August 13, 2019 or earlier if the room block sells out. Act early to ensure room and rate availability.